Signs of summer are everywhere. One of the most reliable indicators a new season is on its way is Charleston’s Spoleto Festival, USA, the South’s great performing arts extravaganza, which opened, as always, on Memorial Day weekend. 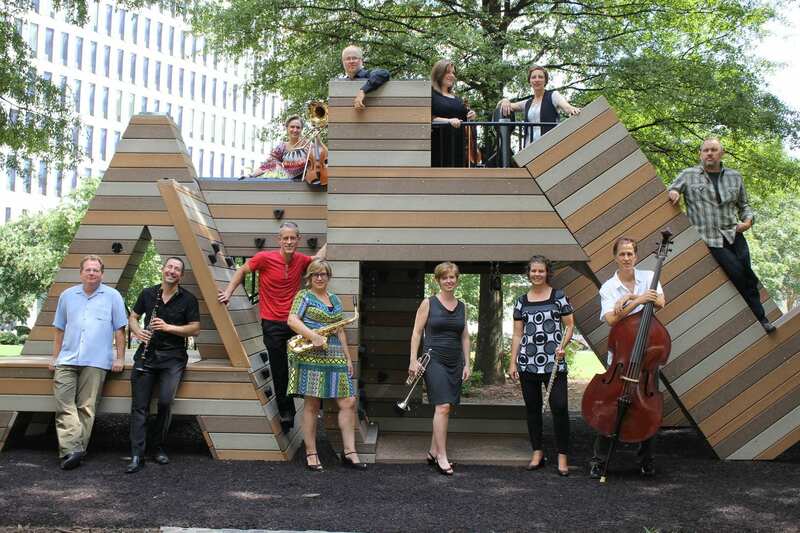 This ambitious festival, now in its 42nd season, is consistently fresh, even bold, with a high-caliber array of music, theater, dance and much more, including top-ranked ensembles from around the globe. You can’t see it all . . . there’s too much. Spoleto runs for 17 days. On weekends, there are typically a dozen or so events in a day, and slightly fewer on weekdays. The temptation is to take in three or more performances in a day: a strategy that leaves you feeling stuffed, like meals at the restaurants here. Opening weekend was typical, and while some of these programs won’t be repeated, they do offer a sense of the quality you’ll encounter whenever you go. This is a great year for dance, and opening night (May 25) featured the Miami City Ballet in Celebration: The Art of the Pas de Deux, the first of several programs exclusively featuring the choreography of Jerome Robbins. In an interview, Nigel Redden, Spoleto’s general director, explained that Robbins created this very program — consisting of three seminal works showcasing couples — in 1973 at the request of Gian Carlo Menotti for The Festival of Two Worlds in Spoleto, Italy. 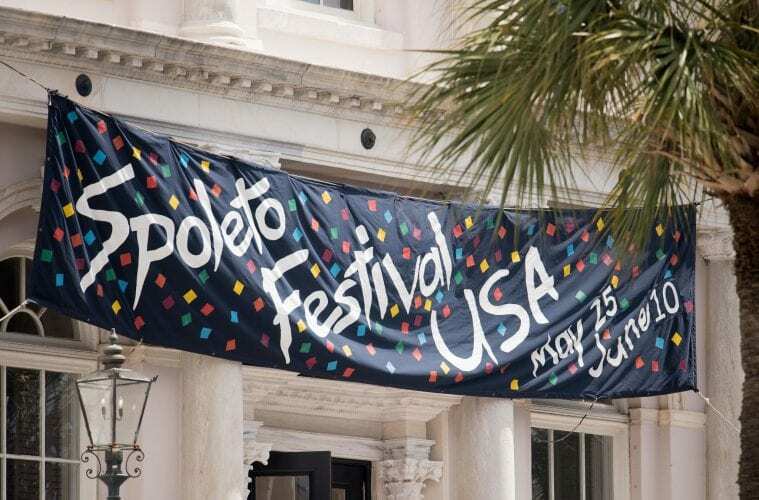 Spoleto USA was, of course, an outgrowth of that festival. Introduced by Lourdes Lopez, the company’s articulate artistic director, each piece was preceded by archival films of Robbins rehearsing his original dancers. Debussy’s “Afternoon of a Faun” (1953) was of exceptional grace. For “Other Dances” (1976) and “In the Night” (1970), they were joined by six of Miami’s best dancers, but this time with piano accompaniment. These were some of the finest dancers I’ve seen all season. The chamber music series is curated by noted violinist Geoff Nuttall, and it really is a roundup of some of the biggest names in the classical world. Spoleto audiences like their chamber music served with a large portion of irreverence, mirth and chat. Sometimes you wish they’d talk less and play more, but at least the witty banter is entertaining. 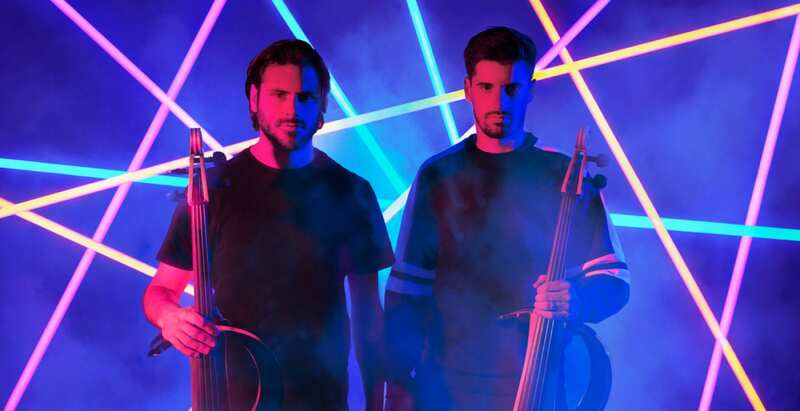 There are 12 chamber music programs, each repeated several times so that there are two different concerts each day, all in the acoustically delightful Dock Street Theatre. 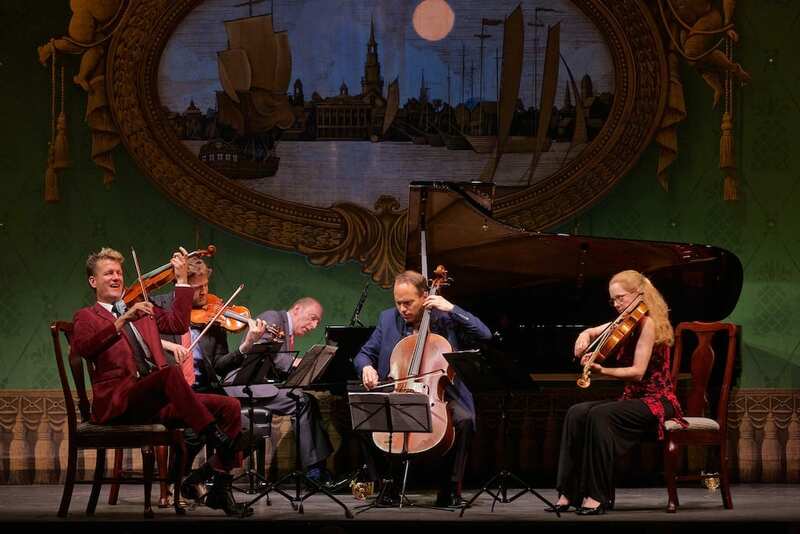 Nuttall described the first of these as “one of the craziest mixes you’ll encounter.” His own St. Lawrence String Quartet was joined by the Jack Quartet along with harpsichordist Pedja Muzijevic and oboist James Austin Smith for Handel’s Concerto Grosso in B-flat major. I wish they could have repeated it . . . Smith is a wizard. I’ve never heard a purer, better shaped oboe performance anywhere. This was followed by Mark Applebaum’s quirky “Darmsatdt Kindergarten.” A dense and dissonant one-minute musical line is played then repeated four times. But the players (the Jack Quartet) remove themselves, one per repetition, substituting complex choreographed hand gestures. An experiment in memory with a score that isn’t especially memorable, it at least makes for good theater. Up next was superstar countertenor Anthony Roth Costanzo performing Leonard Bernstein’s “Spring Will Come Again,” “I Feel Pretty” and “Somewhere.” It was an unexpectedly potent mixture of camp and poignancy, deftly referencing Bernstein’s homosexuality and succeeding wholly on the strength of Costanzo’s mesmerizing, powerful voice and winning charisma. For the finale, the St. Lawrence String Quartet performed a meticulously shaped performance of Beethoven’s String Quartet in F major, Opus 135, his surprisingly sweetnatured and spare final composition. 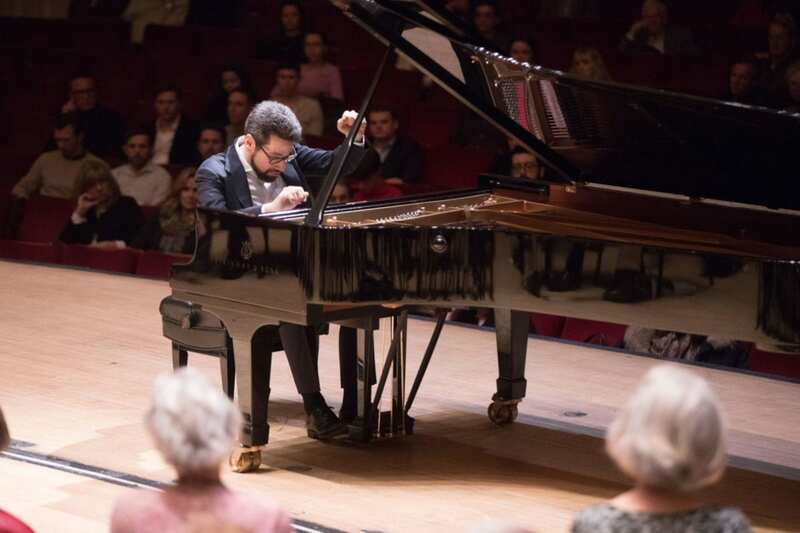 From the perfectly articulated first movement to the explosive trio with Nuttall’s demonic violin solo, this was a performance that lingered in the soul. One of the fine traditions of Spoleto is the ensemble from Westminster Choir College in Princeton, probably the finest student chorus in the country. 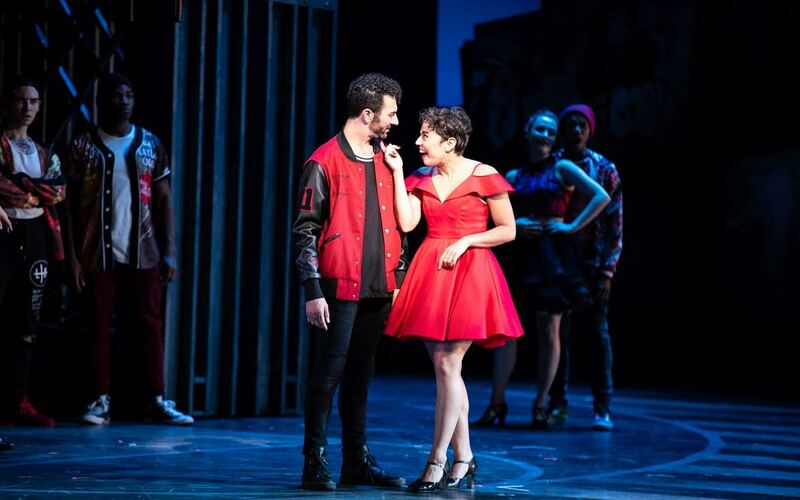 The 40 young singers are all over the place, especially in the opera performances, where they serve as the chorus and sing many of the roles. These are troubled times for the privately owned school. Saying it loses money, Rider University, its latest owner, has been trying to sell the college, tentatively, to a Chinese firm. Enrollment has dropped, and alumni are concerned. So there was even more interest than usual for the choir’s May 26 concert at the Cathedral Church of St. Luke and St. Paul. No worries: the chorus’s youthful signature sound and flawless intonation were intact, along with their mastery of some really demanding material. The concert was built around Frank Martin’s intense, glorious “Mass for Double Choir,” performed in its entirety except for the “Agnus Dei.” This work has an incredible back story. It was completed in the 1920s, but the devout Swiss composer kept it private for 40 years, “a matter between God and myself,” relenting only a few years before his death. Joe Miller, director of choral activities both at Spoleto and at Westminster, led a performance notable for its clear textures, magical pianissimo and controlled dissonance. Interspersed into the mass were six other works, including Tim Brent’s “Peace Songs (Beatitudes),” a new work the chorus premiered last November. 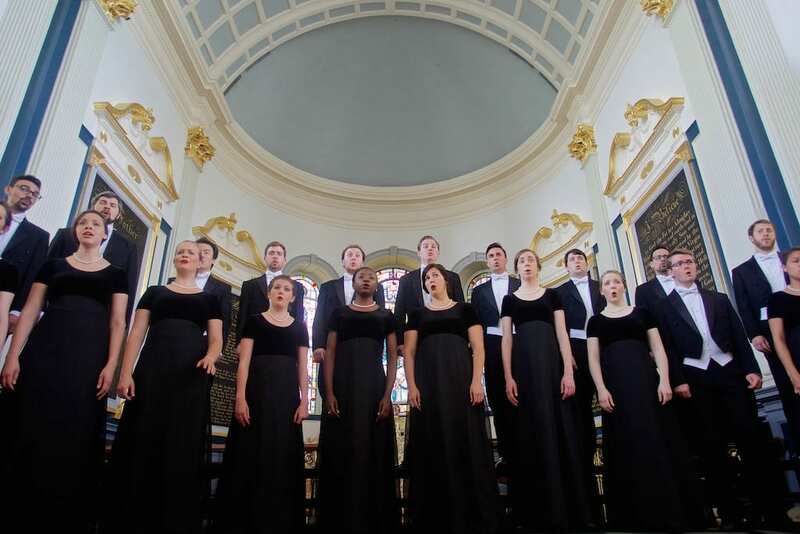 Brent has set the Beatitudes (from the Gospel of Matthew and sung in Latin) as a conversation between a mixed choir, a solo quintet and a small percussion group. 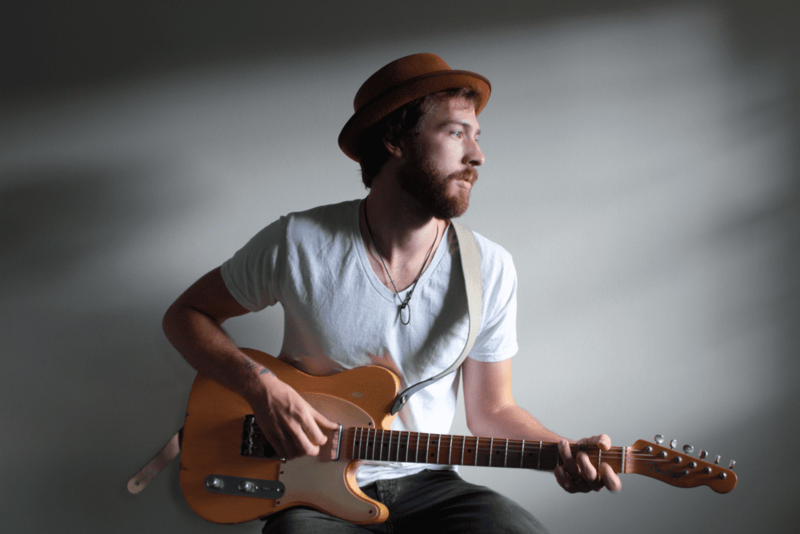 The energetic work has a free jazz feel, using tone clusters that resolve into tonality. A strikingly original work, it was also clearly a demanding one, beautiful and awe-inspiring. Opera has always held a special place at Spoleto, and this year featured two US premieres. 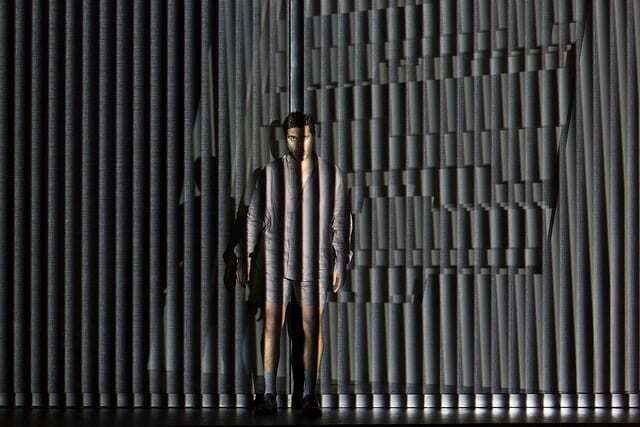 I had great hopes for “Tree of Codes,” a new work by Australian composer Liza Lim, first performed by Cologne Opera. Lim wrote her own libretto, which is a “cut-out” from Jonathan Foer’s book by the same name, itself a cut-out of Polish writer Bruno Schulz’s The Street of Crocodiles. What this means is that words, and even letters, are lifted from the earlier text, almost at random, creating a sort of distillation. For example, Foer’s title (“Tree of Codes”) is a cut-out of Schulz’s title (“The Street of Crocodiles”), formed by eliminating letters. Get it? It’s not unlike a literary version of homeopathy, and supposedly it isolates the “special DNA” from the original. It’s an experiment, perhaps more visual art than literature. That original is pretty potent: a Polish Jew killed by the Nazis, Schulz wrote fantastic, visionary metaphoric tales of a small-town merchant who was also an inventor tinkering with the lines between life and death, animals and humans. The opera takes place after he has died, and his son goes looking for him by crossing into a magical space between life and death, simultaneously dealing with the meaning of life, environmental concerns and the Holocaust. The problem is that the text is so garbled from all that filtering that it’s impossible to make out more than an occasional thread of narrative. Mostly it’s 90 minutes of confusion. Lim’s score is an explosion of expressionism: harsh dissonance and dense clusters of sound alternate with sweet melody and bird sounds. While she uses mostly traditional instruments, the extreme techniques often generate bizarre sounds, like “Rite of Spring” on steroids. The two singers gave their all. Canadian baritone Elliot Madore, as the Son, sang with power, focus, considerable range and courage. As Adela, a sort of guide the Son has encountered in this space, Marisol Montalvo was simply amazing, singing at the extreme top and bottom of the soprano range. The Dresser, a mute role who assists in transformations, was performed by Walter Dundervill. Scott Zielinski’s set featured a striking monolith designed to resemble a Jewish Memorial in Vienna. Director Ong Ken Sen got strong dramatic performances from the cast, and the visual elements of the evening gave the best clues as to what was happening, as characters changed costumes to suggest transformation into animals, or circled the monolith in a Buddhist ritual. John Kennedy, director of orchestral activities here, led his musicians in a bravura performance of what must have been one of the most difficult scores ever performed here. Rummaging around in opera’s attic can bring some big surprises. In this case, it’s a fine Donizetti opera making its first appearance in the US, 181 years after its premiere. The story of Pia de’ Tolemei is spun from a brief reference in Dante’s Purgatory. 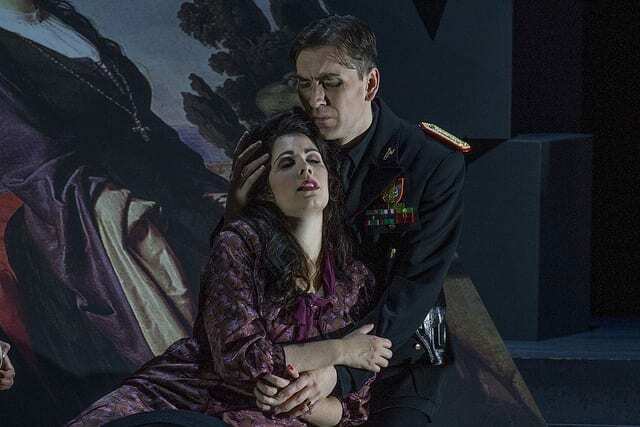 Librettist Salvatore Cammerano expanded it into a taut drama featuring a woman wrongly accused (and killed) by a powerful jealous husband, not unlike Verdi’s Otello. The libretto is packed with the operatic trappings of the era: betrayal, a mysterious monk, a powerful storm, death by poison, etc. Donizetti’s score for Pia is rich with melodies, expressive coloratura and fine use of the chorus. Written a year after his Lucia di Lammermoor, Pia might not be the equal of his more popular works, but it’s the work of a master who knows how to amp up the melodrama. 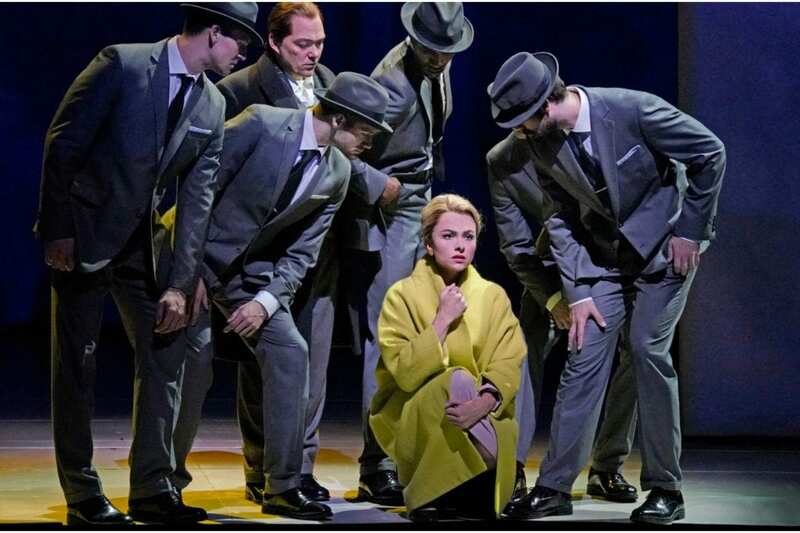 Vocally, everything depends on the role of Pia, and Amanda Woodbury, a fast-rising young soprano, displayed dazzling bel canto technique, excellent intonation and perfectly rounded top notes. It helps that she is a charismatic actress with movie star looks. Mezzo-soprano Cassandra Zoe Velasco, in the pants role of Roderigo, Pia’s brother, has a flexible voice with nice high notes. As Nello, Pia’s husband, Valdis Jansons displayed a powerful, clear baritone. The staging, a coproduction with several Italian opera companies, was perplexing. The libretto was originally set in 13th-century Tuscany against the backdrop of a conflict between the Guelphs and the Ghibellines. Director Andrea Cigna updated things to the 1930s, turning the factions into fascists and the resistance, and adding an incongruous backstory that has Pia trying to rescue a trove of artwork. Updating can be an excellent tool for opera directors and is especially useful with warhorse operas that have become stale and predictable, hardly a problem with Pia. Here, the production was so muddled that it made a relatively simple opera confusing. The modern sets, by Dario Gessati, were attractive but had nothing to do with either the original setting or with the fascist era. Conductor Lidiya Yankovskaya held things together nicely. 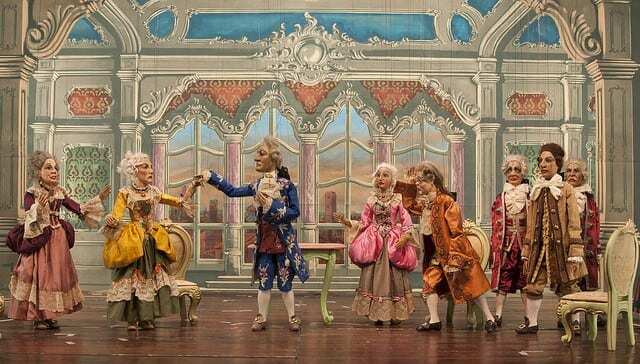 Marionette operas, rarely seen in the US, are more abundant in Europe, where the tradition goes back for centuries. Spoleto occasionally imports the best of these, and this year we got a production of Cimarosa’s short opera buffa from the late 18 century, Il Matrimonio Segreto, from the Carlo Colla and Sons Marionette Company. The libretto is a farce revolving around a secret marriage, a deaf father, a buffoonish nobleman and a series of misunderstandings. The adorable puppets are manipulated with astonishing realism by a team of 11 puppeteers, and here they’re voiced by six young singers (from the Westminster Choir School), located in the orchestra pit. The quality of the singing was consistently high. The conductor, Marco Seco, kept things together, but his glacial pacing robbed the work of energy. Easy and fun, this makes for a nice diversion. Daniel Jamieson’s The Flying Lovers of Vitebsk is an endearing musical written 25 years ago, based on the love story of Marc and Bella Chagall. Jamieson starred in the original production with Emma Rice, later to become his wife (they’re now divorced), who directed this production, which traveled here from the Bristol Old Vic and Kneehigh theater companies. This is a surprisingly powerful play. The poetic language captures the powerful love that sustained the Chagalls through the decades, first in the Jewish community of the tiny Belarus village of Vitebsk, then through a series of exoduses as they fled Russian anti-Semitism, then Lenin, then the Nazis, across Europe and eventually to New York. While a familiarity with Chagall’s paintings isn’t required to appreciate this show, it definitely adds to your understanding. At one point, Chagall asks an interviewer: “Do you know why people paint?” He then explains: “When things are gone, you feel an agony of need to remember.” His paintings not only featured his beloved Vitebsk — destroyed by the Nazis, who also killed off virtually all of the Jewish population — but his best muse was Bella, and some of his best paintings feature the couple flying whimsically through the air. An eclectic score comprises songs in English, Yiddish, Russian and French, and the two actors are accompanied by musicians James Gow and Ian Ross, who sometimes help out with the singing as well. There’s quite a bit of dancing, superbly executed by Marc Antolin as Chagall and Daisy Maywood as Bella. Both are charismatic actors who can transform even mundane action into compelling theater. The effective unit set was designed by Sophia Clist. Nostalgic and moving, Flying Lovers is a great night at the theater. The festival runs through June 10. The best source for schedule information is the Spoleto website. Performance venues are located all over Charleston, and most are within easy walking distance of each other. You might also want to check out the Piccolo Spoleto Festival, a separate series of events running parallel to Spoleto. Most of the Piccolo performances are free.